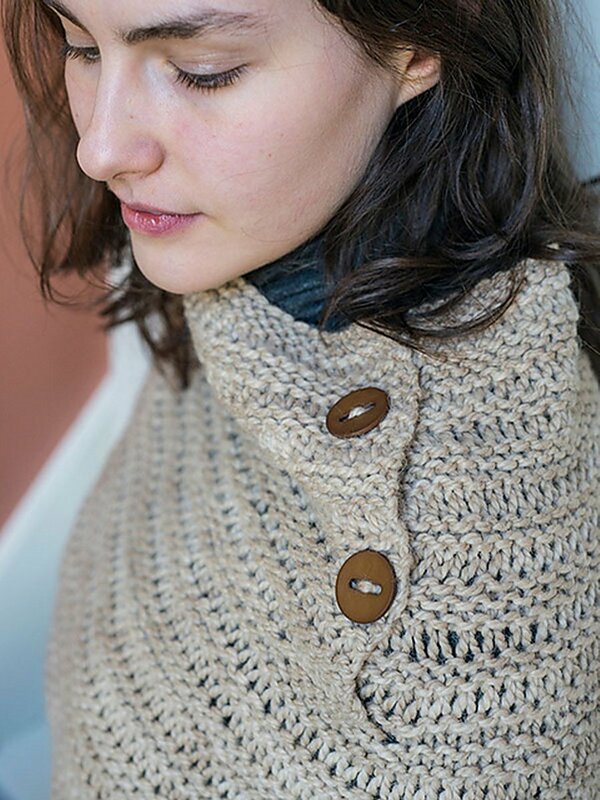 Capelet is worked in one piece from the neck down and features a garter drop stitch pattern and an asymmetrical, buttoned cowl neck where the elongated stitches (formed from the drop stitch pattern) serve as the buttonholes. It is worked back and forth on a circular needle for the neck and then joined to work in the round for the body and increases are made to shape the shoulders. 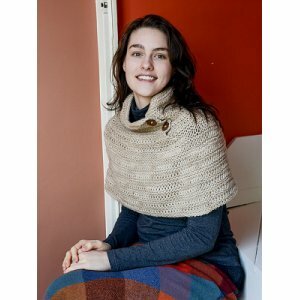 It can be worn as a capelet around the shoulders or drawn up on the neck and worn as a cowl. Neck can be buttoned all the way up or you can leave the top button open and fold the neck over like a collar. 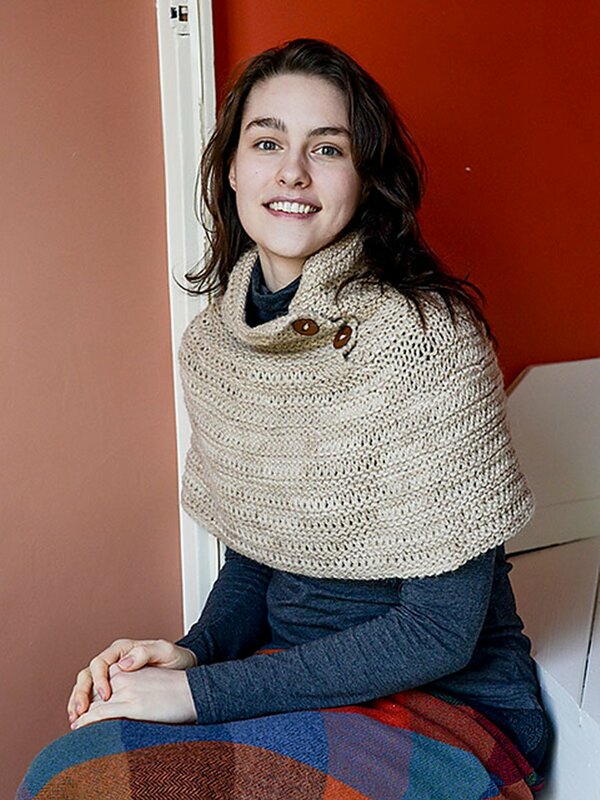 To Fit Bust Size: [30 to 36]([38 to 44]-[46 to 52]-[54 to 60])" Shown in size 30-36"
Berroco Booklet 401 Aero Patterns - Mera - PDF DOWNLOAD and Knit Collage Patterns - Bandana Cowl - PDF DOWNLOAD are both similar patterns: 12 (3 sts. / inch) finished gauge, shawls, wraps, ponchos garment, for women, and bulky (12-15 sts/4 in) yarn gauge. Hopefully our suggested yarn options for Wood & Steel - PDF DOWNLOAD can help you come up with your next exciting new project idea!